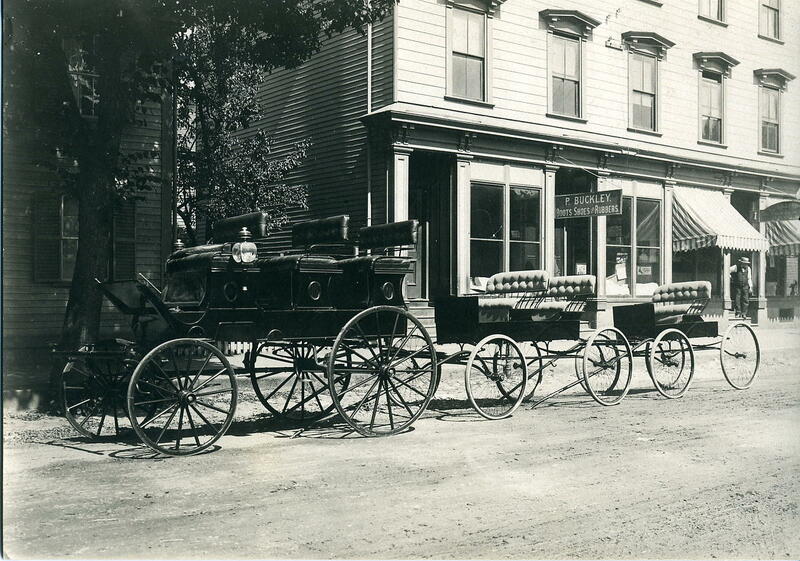 Buggy in front of P. Buckley’s store, Main Street, Peabody. Mark your calendars! The Mass Memories Road Show is coming to Peabody on Saturday, October 20th from 10 a.m. to 3 p.m. at the Peabody Senior Center, 79 Central Street. The Mass Memories Road Show is a state-wide digital history project with the goal to document the people, places and events in Massachusetts history through family photographs and stories. The goal is to create a digital portrait of all pf the Commonwealth’s 351 towns and cities. On Saturday, October 20th, the Mass Memories Road Show will come to Peabody. Current and former residents of our city are invited to bring 2 or 3 photographs that they believe represent themselves, their families, and/or some aspect of Peabody’s history. You can have been here all your life or have moved here recently. Everyone is invited and it is free!. Contributed photos range from those of immigrant ancestors to snapshots taken at recent family gatherings. The photos are scanned, then immediately returned to you. You are also invited to share a 3-4 minute story about your photos on camera; we also take a “keepsake photo” that you will take home with you to document your participation in the Road Show. The images and videos will be indexed and incorporated into the Mass Memories online archive. For more information or to sign up for the Mass Memories Road Show, call the Peabody Institute Library at 978-351-0100, x10. You may also call this number if you would like to volunteer to help out at the event.